← Is Your Admin Panel Still Dull and Non-User Friendly? 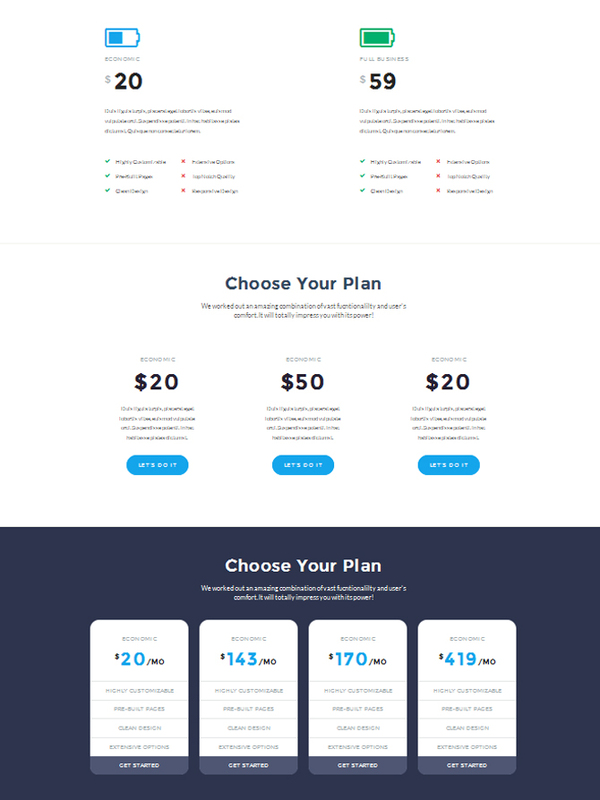 The page offers 4 styles to unveil your pricing plans in an easy-to-compare manner. 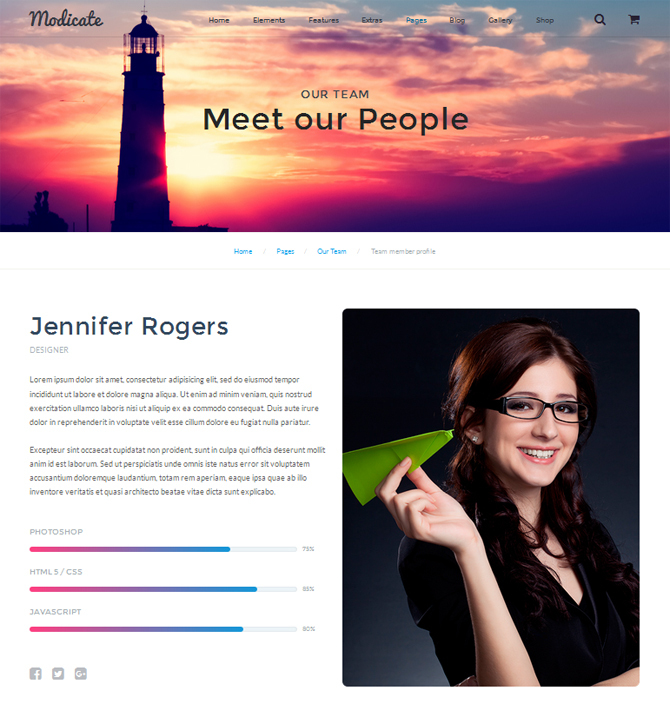 Reveal the names of your clients or partners on this page. Their logos can be arranged in a row or columns with or without links to their sites. 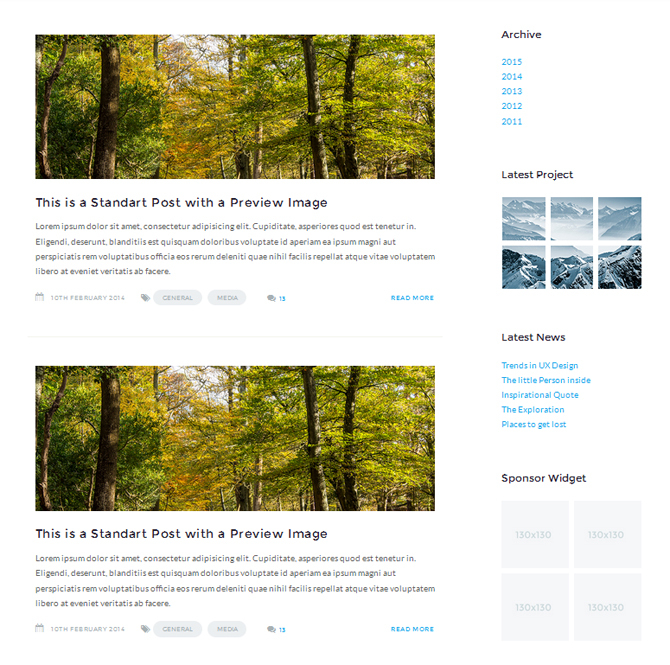 Modicate provides pre-designed templates for blog pages. They include a post page, archive, timeline, and 3 blog page layouts. You can preview some of them below. 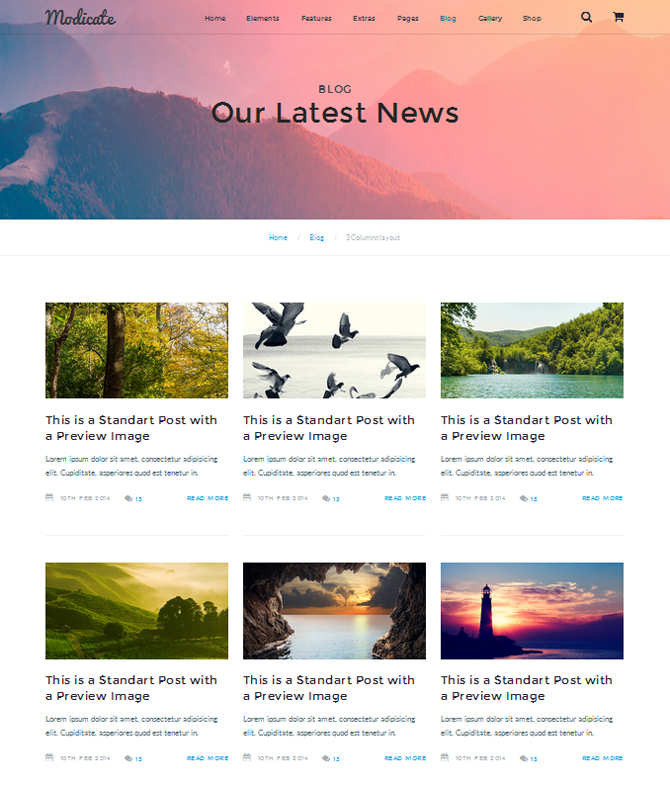 Choose from one-, two- and three-column layouts to design the page with blog post previews. The archive page allows you to gather all your posts in one place. Visitors can filter them by the publication year. If you’re eager to add zest to the structure of your blog page, this template is just the job for you. 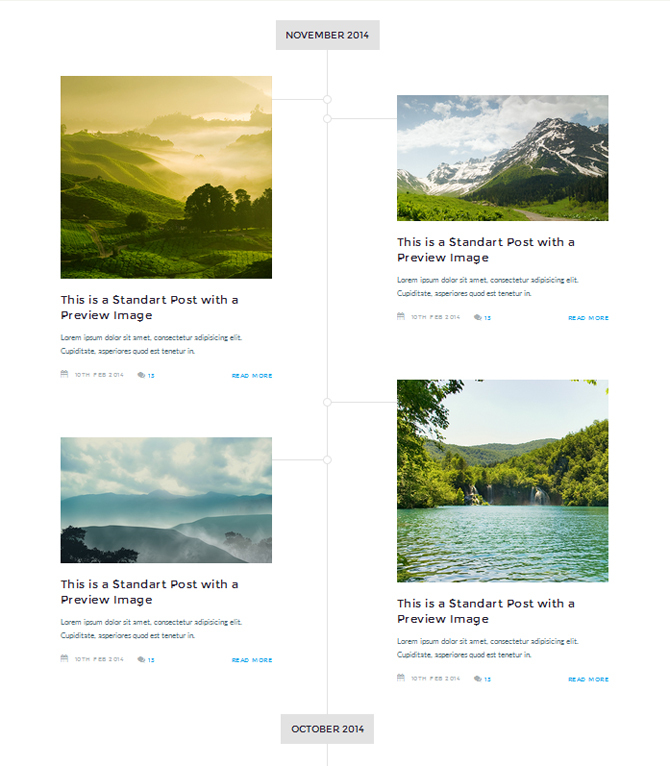 It allows you to arrange post previews along a timeline. 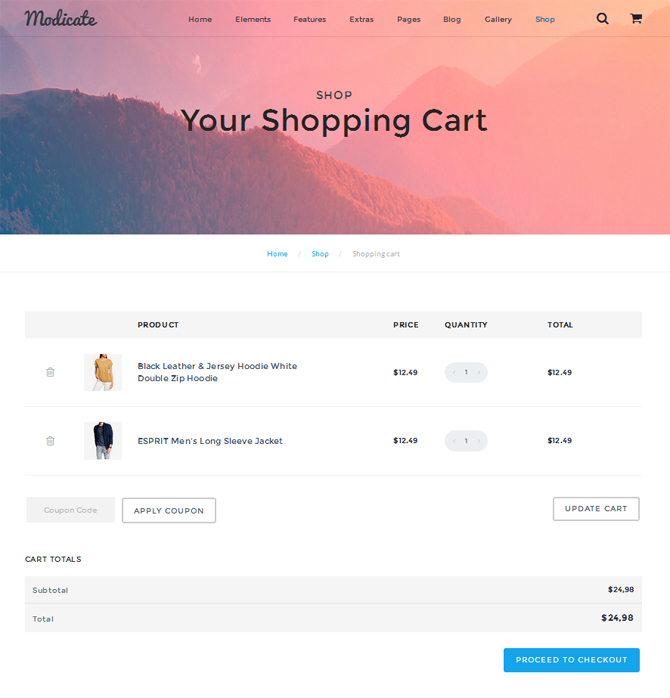 This multipurpose HTML5 template offers a full pack of eCommerce pages for online merchants. From the product catalog and single product page to shopping cart and checkout pages, you’ll have all the must-haves at your disposal. Here they are. 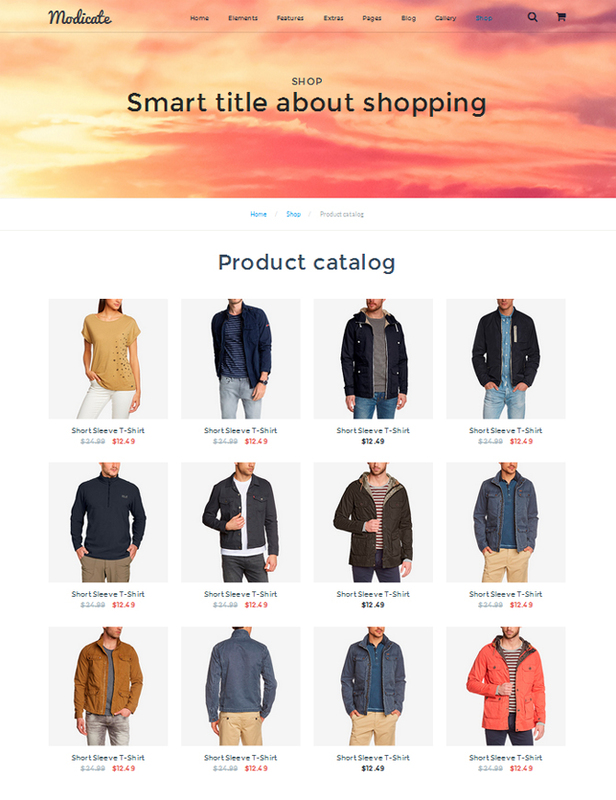 On the catalog page, products are shown in four columns in the clean background. To bring your items to the forefront, this page is free from any unnecessary elements. Here, customers can take a closer look at the desired item, particularly its main features, ratings, consumers’ reviews, gallery of images, and much more. A block with related products gives an opportunity to engage buyers with similar options relevant to their interests. 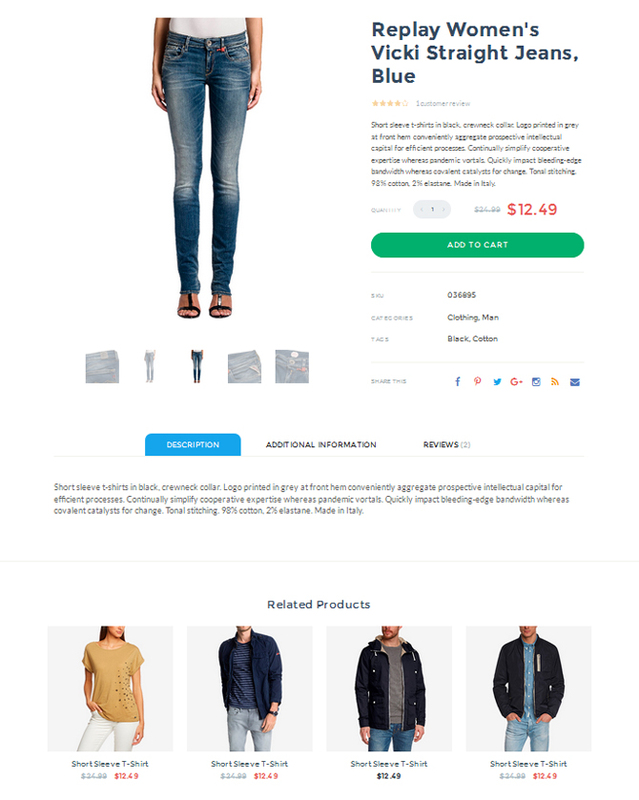 This page shows all the products available in the shopping cart. Customers can easily compare their prices and remove the least suitable items. 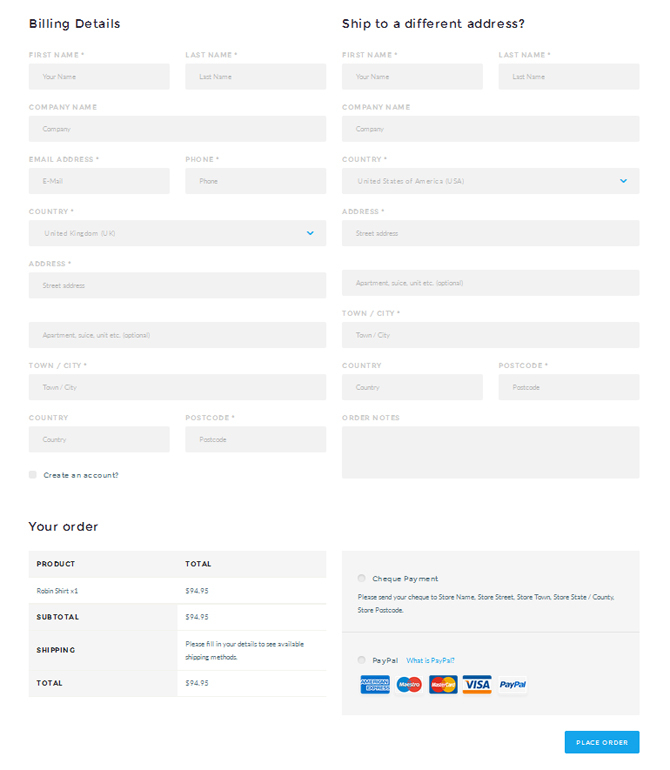 On this page, buyers can fill in the fields with all the billing details to complete their purchase. 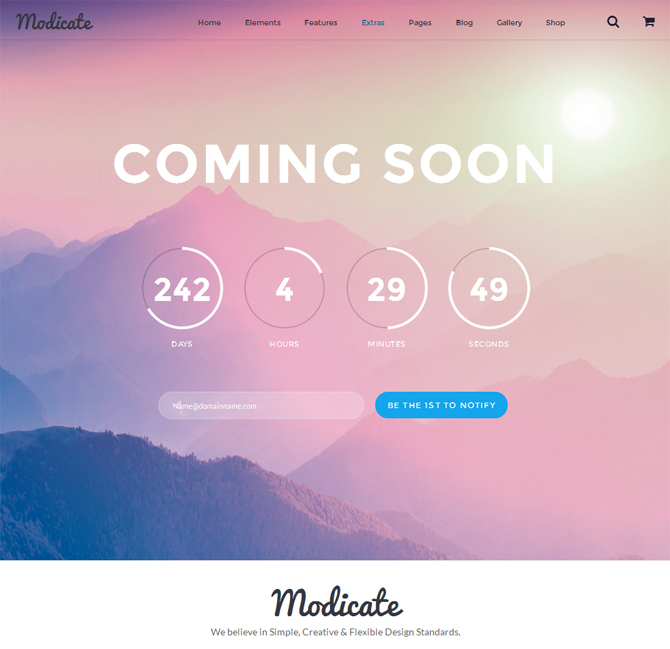 In addition to the major pages, Modicate comes with a set of extras, particularly login, registration, coming soon, maintenance, terms of services, search results, and even 404 page. Supplied with a countdown option, this page is intended for informing visitors of how much time is left until your product launch or, say, discount expiration. This page serves the purpose of visitors’ authorization on your site, both in a traditional way and through social networks. The pack of ready-made HTML5 pages is supplemented with a variety of header and footer styles. Choose those that match each other and the rest of the layout. The header versions of Modicate include parallax, transparent, center, minimal, corporate, and hamburger menu. 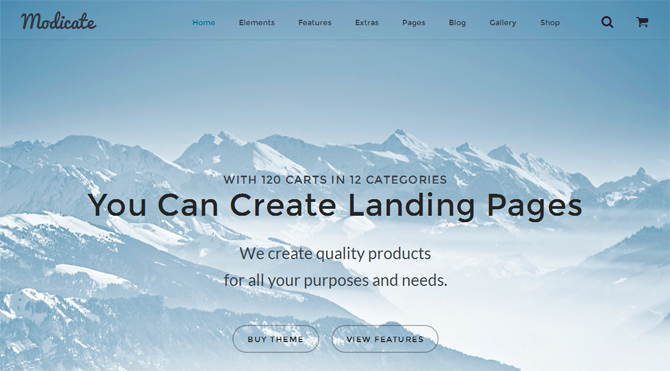 The corporate header style is notable for two bars, one for menu items, search and shopping cart and one for contact details and social links. Those of you who prefer minimal style should give a try to the transparent header. As for the footer varieties, you can pick one of the following styles: centre dark, minimal dark, widget dark, and widget light. 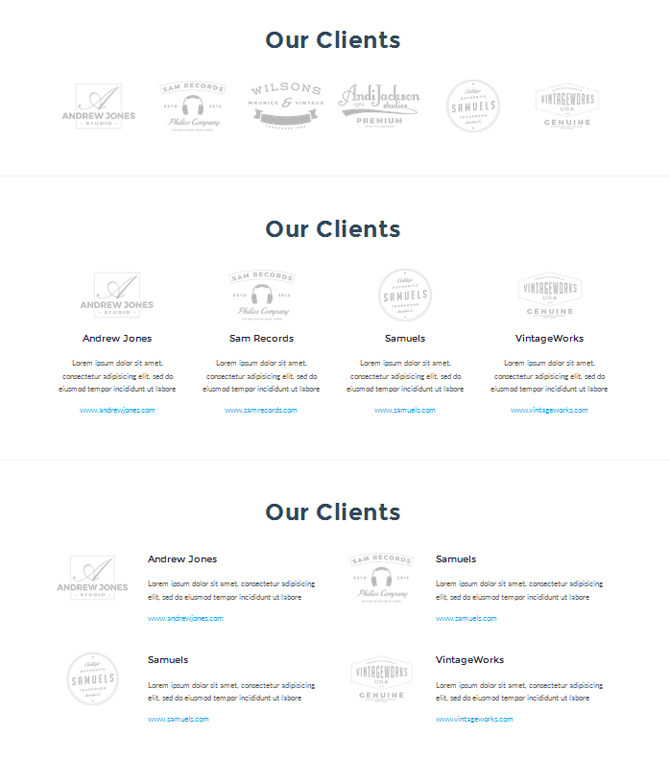 This type of footer serves as an extra navigation element. It duplicates the header bar with menu items. 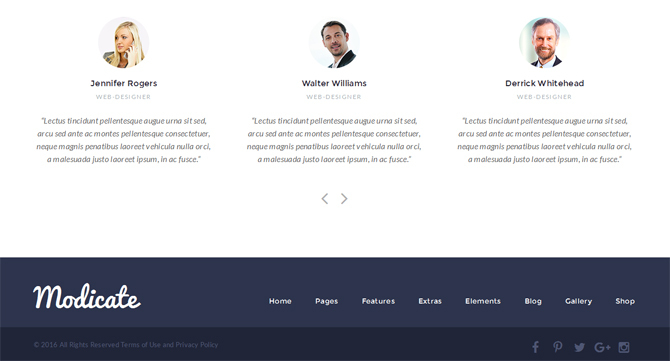 Compared to the previous footer type, this one is a more functional solution. In addition to links, it also features contact details, newsletter signup form, Facebook link, RSS Feed, block with recent posts, and more. 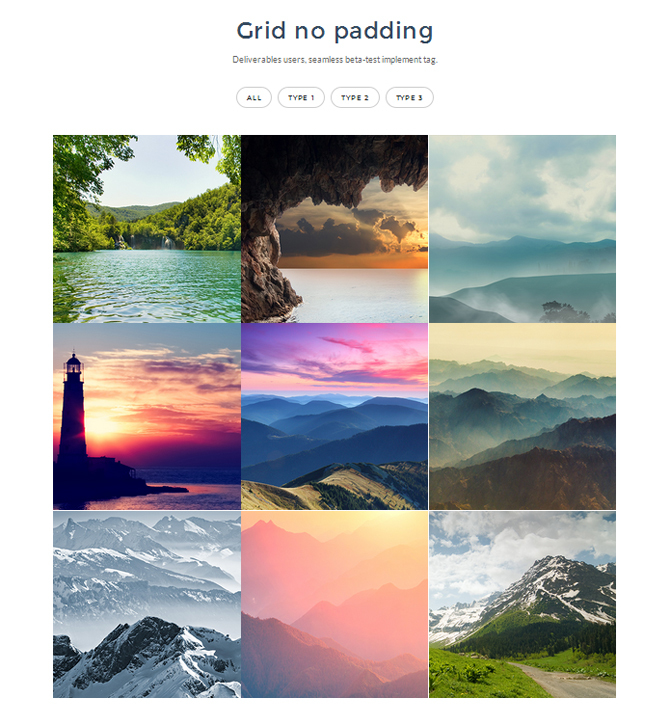 For greater visual diversity, this multipurpose HTML5 template features 4 types of a grid-based gallery. They are as follows: padding, no padding, masonry, and cobbles. Every gallery type is equipped with a filtering option and lightbox for a quick image preview. Check them one by one below. 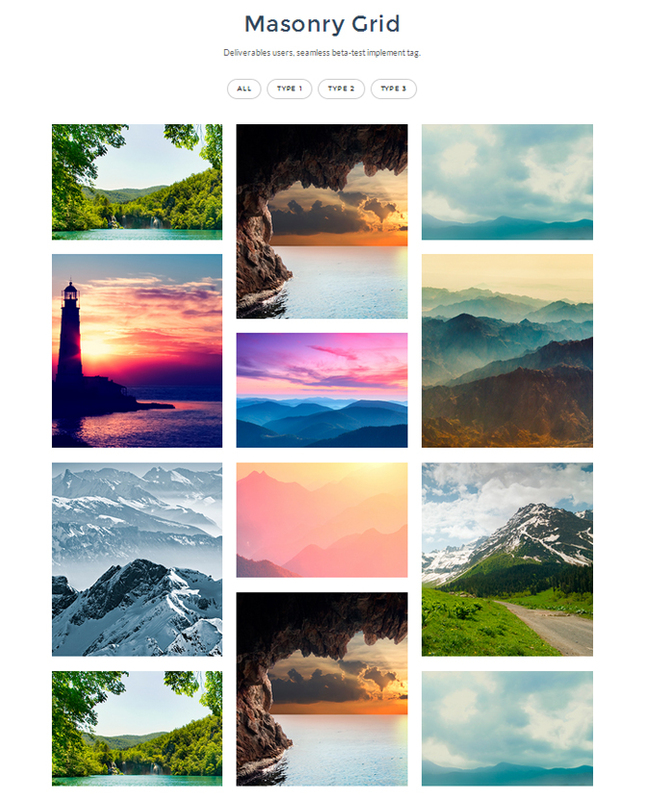 This gallery type shows images in square tiles separated from each other with some clean space. In contrast to the previous gallery type, this one displays images in square tiles without any separation. Use this gallery type to show your projects in elegant masonry tiles. 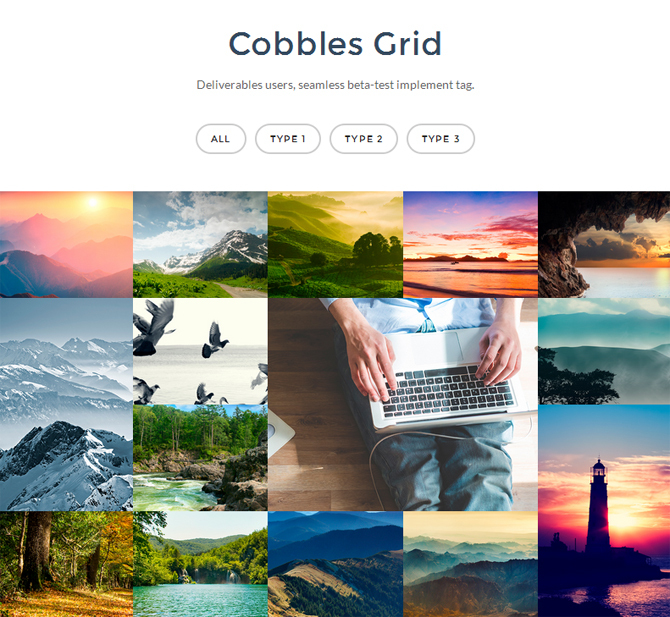 Here is a gallery meant to present your work in a refined cobblestone style. 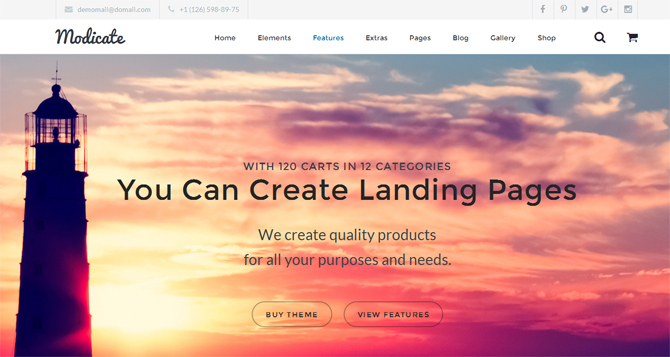 Supply your website interface with various UI elements available in the template’s package. 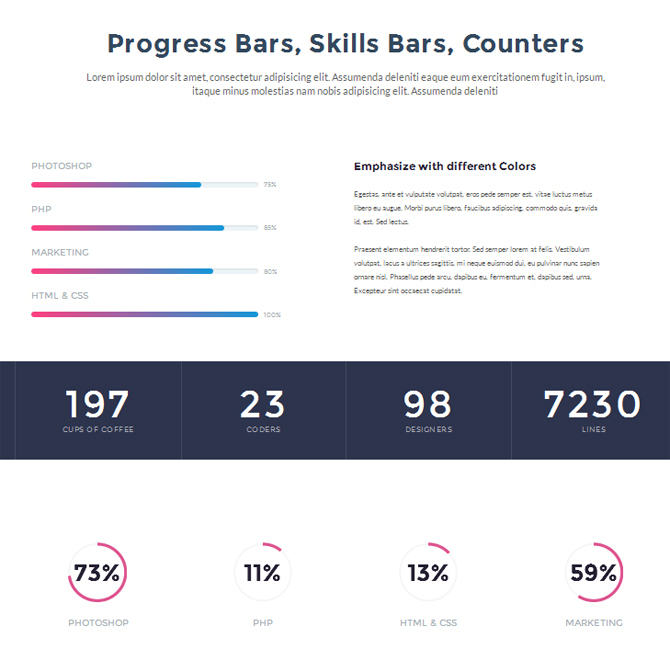 It offers everything required for a smart content presentation, namely tabs, accordion, progress bars, counters, icons, tables, grid, typography, buttons, and forms. 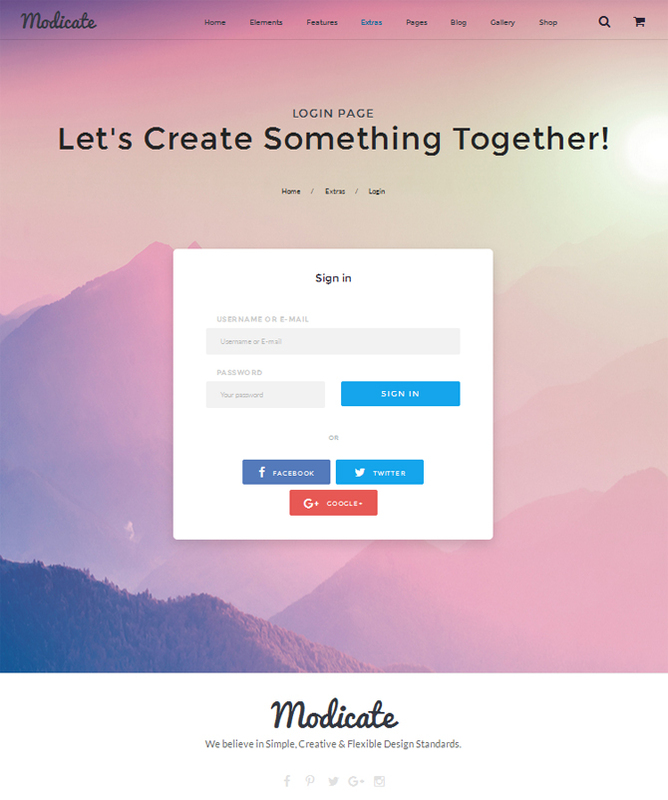 Modicate gives an access to different web forms, i.e. 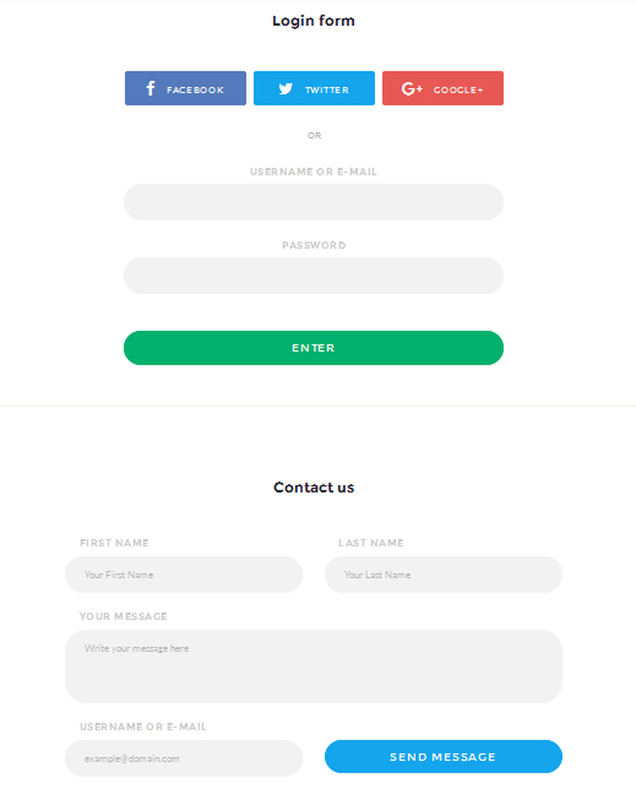 contact, login and newsletter subscription forms. When it comes to adding buttons to the layout, you can choose from a variety of sizes and shapes. To complement your content with effective visual cues, you can use Font Awesome icons depicting various objects. These dynamic elements allow you to draw extra attention to your statistical data. It was just a brief of overview of Modicate features. If you want to learn more about this multipurpose HTML5 template, follow the quick links featured below. In the end, we’d like to hear your option about Modicate. What functionality do you find the most useful in its huge pack? Would you add anything else to it? Don’t hesitate to share your viewpoint in the comments, please.